“God’s First King” by Shaul Bar is available through Cascade Books and Amazon. See the links below. 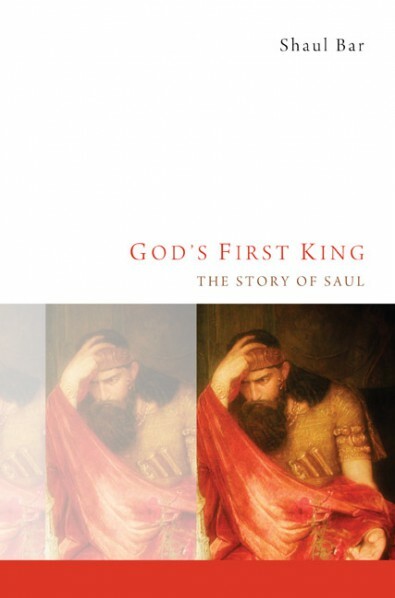 In God’s First King: The Story of Saul, author Shaul Bar, seeks to “rediscover Saul,” and “to have a better understanding of his achievements and failures as the first king of Israel” (p. xvii). 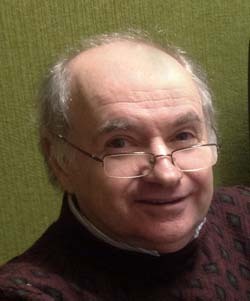 Being a professor of Judaic Studies at the University of Memphis, one of the unique features of Bar’s approach is “to look at the subject from additional perspectives including those of the Talmud and the Midrashim [ancient Jewish commentaries] and the Jewish medieval commentators” (p. xvi). Of course Bar is also conversant with the modern scholarly literature on Saul and frequently interacts with it. His study of Saul’s kingship utilizes various approaches including literary, historical, and archaeological. The Search for a King–looks at the events of 1 Samuel 8-11 which includes Israel’s demand for a king, Samuel’s denunciation of kingship, and the story of how Saul becomes anointed as the first king. Saul’s Wars–focuses on Saul’s battles with the Philistines (including the Valley of Elah–1 Sam. 17), the Amalekites (1 Sam. 15), and his wars in the Trans-Jordan including especially the Ammonites (1 Sam. 11). Saul versus David–examines Saul’s troubled relationship with the future king of Israel. This chapter looks at various events from 1 Samuel 16-26. Feuds in the King’s Court–looks at Saul’s troubled relationship with other individuals including Samuel, Jonathan, his courtiers, and his daughters. Saul a State Builder–presents a convincing argument that the transformation from tribal confederation to state, legitimately began with Saul (others would argue it began with David). The Last Battle–not only looks at the chapters describing Saul’s death (1 Sam. 31; 2 Sam. 1), it also examines the establishment of David’s kingship by looking at the fate of Saul’s house as recorded in 2 Samuel 2-4, and 9 (i.e., stories about Ish-bosheth, Michal, Abner, and Mephibosheth). Conclusion–provides a brief summary of Bar’s study on Saul. The author of “God’s First King,” Shaul Bar holds a Ph.D. in Ancient Semitic Languages and Literature from New York University, and serves as Director of the Bornblum Judaic Studies program at the University of Memphis. Bar’s familiarity with other Ancient Near Eastern sources, often provides parallels to the biblical account, or insights into it. For example, the statement that Saul was “head and shoulders” above everyone else in Israel (1 Sam. 10:23) suggests that height was an important consideration for kingship in the ancient world. Bar cites the story of Athtar who sits in “Balu’s seat.” Athtar’s problem is that his feet do not reach the footstool and his head does not reach the top of the seat. “Thus because he is too short, he was rejected as king” (p. 17, n. 65). In another example, Bar notes that Nahash’s action of gouging out the right eye of the Israelites (1 Sam. 11) “is attested to in the Ugaritic literature, where it is classified as a curse” (p. 36). One final example is Saul’s statement to his courtiers that he had supplied them with fields and vineyards (1 Sam. 22:7). Ancient documents from both Ugarit and the Hittite empire demonstrate “that a king gave estates and land property to his officials as a reward for services or for ensuring their loyalty” (p. 101). The comments from the Jewish sages are at times amusing. For example, when the women meet Saul and inform him how to find Samuel their comments are quite verbose (1 Sam. 9:11-13). Bar states, “The Gemara comments: ‘Because women are talkers’” (p. 12–apologies to the ladies reading this post. Remember the Gemara said it, I didn’t!). My favorite chapter in God’s First King is chapter 5 entitled, “Saul a State Builder.” Some scholars argue that Saul’s kingdom was no more than a minor fiefdom. However, Bar argues convincingly that Saul was responsible for many of the elements necessary for establishing a kingdom. He looks at several words, easily overlooked by a less-informed reader, that demonstrate an organized military and political system. The expression, “servant of the king,” frequently appears in Mesopotamian, Canaanite, and Egyptian sources, as well as Saul’s court, as a reference to officials and functionaries at court (p. 93). Doeg is not only a mercenary soldier who slaughters the Lord’s priests, he is also Saul’s “chief herdsman,” which designates an official who is in charge of the king’s property and herds (p. 94-95). The Hebrew word for “lad” in political contexts can be translated as “steward,” and this is its meaning when David calls Ziba “Saul’s steward” (p. 95). Bar also notes that, “Taxation is one of the first signs of a monarchy,” and examines several words demonstrating that Saul collected taxes from the Israelites (e.g., 1 Sam. 10:27; 17:9, pp. 95-97). Special terms for the military, plus mention of payment for soldiers (1 Sam. 22:7), demonstrate that Saul had a professional army (“chosen ones,” “those who obey, who answer the call,” and “runners” [who go before king’s chariots], are all technical military terms–pp. 97-103). Bar has an interesting discussion of Saul’s capital Gibeah. He notes that the establishment of a capital is a sign of monarchy and talks about the archaeological excavations that have uncovered a palace from Saul’s time there (pp. 103-106). Bar concludes that, “Saul was indeed a state builder. He transformed Israel from a loose federation of tribes into a state with a capital, religious center, army, and taxes.Saul laid the foundation for the monarchy that would ultimately be fully developed under David and Solomon” (p. 109). While it is very interesting to see what the ancient Jewish sages, rabbis, and medieval commentators taught on a given passage, it is difficult to determine Bar’s stance toward many of these observations. Does he quote them for the purpose of agreement or disagreement, because they are traditional, or just because they are interesting? In a number of instances, it is hard to tell. 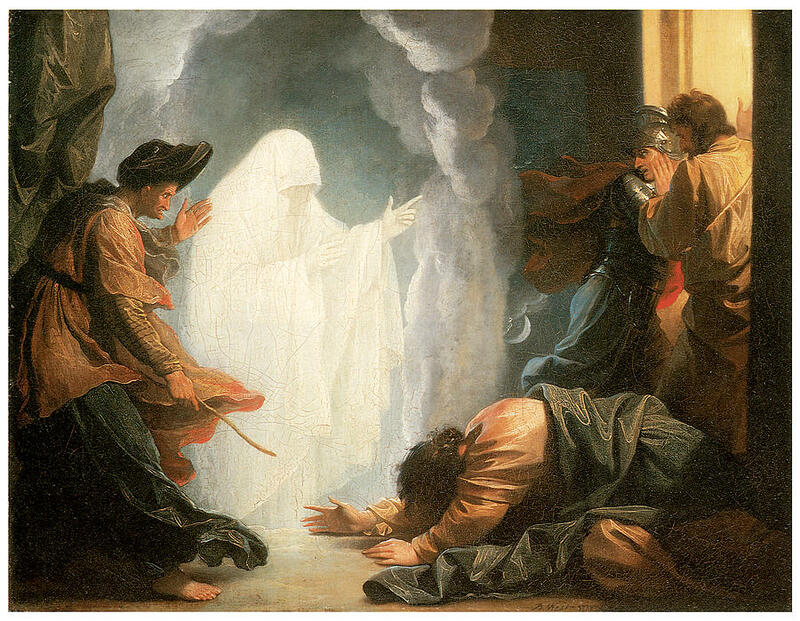 For example, in the chapter on Saul’s visit to the Witch of En-dor, readers are often curious why the woman only recognizes Saul once Samuel appears (1 Sam. 28:12). Bar notes that, “According to the talmudic sages and traditional commentators, including Rashi and David Kim[c]hi, the dead rise feet first. Samuel, however, arose in the normal upright posture, out of respect for the king. Seeing this, the woman realized the identity of her visitor” (p. 111). This is certainly an imaginative interpretation! But Bar does not commit himself as to whether he agrees or disagrees. He continues by citing the view of Josephus and then a more modern German scholar, but we never learn whether Bar agrees with any of these interpretations. In another instance, commenting on Michal’s possession of idols (1 Sam. 19:11-17), Bar notes that Rabbi Joseph Kara, says that it is alright to consult the teraphim when one’s life is in danger! (p. 80). This is a clear violation of the Scriptural injunction against idolatry, but Bar does not offer any disagreement with the statement. My biggest disagreement with Bar is his utilization of the “hermeneutic of suspicion.” Bar believes that since the author is sympathetic to David, his portrayal of certain circumstances cannot be trusted. He writes, “It is unlikely that David was behind the death of Saul as some scholars posit, since he could have accomplished this much earlier [so far, so good in my opinion]. Yet, he was behind the death of Abner and Ish-bosheth. . . .The sense is that the author wanted to whitewash David’s actions” (p. 139). Again, I refer readers to other posts on my blog (e.g., here, and here, or see my book Family Portraits, p. 265) for my disagreement on this issue (perhaps in the future I will devote a post to it). In the “Conclusion” Bar drops the biggest bomb of all: “We believe that it was the hand of a sympathetic author from the Davidic circle that was responsible for all the negativity surrounding Saul’s portrayal” (p. 141). Really? All the negativity in Saul’s life can be attributed to a Davidic author? Apparently Saul was a paragon of virtue until that crafty author got ahold of his story! In the end, it seems that Bar agrees with some of the Jewish sages who sought to turn Saul’s negative qualities into positive ones. For example, Bar notes that the sages “changed their interpretation concerning his sin in the war against Amalek so that the sin is portrayed favorably” (p. xv). In another instance he points out that they portrayed Saul in a favorable light by giving a different interpretation to the murdering of the priests of Nob (p. 77). Again, it is not clear whether Bar accepts this interpretation or not. Based on his concluding statement, it appears that he sides more with the sages than with the biblical account. If he does, I am in strong disagreement. Even if he doesn’t I can’t agree with his interpretation of Saul’s (and David’s) story. In spite of a number of disagreements, there is much to be learned from God’s First King. If one is aware of Bar’s presuppositions (and like myself disagrees with them), the fish can be enjoyed while spitting out the bones. If one is looking for a historical approach that utilizes insights from other ANE cultures to illuminate Israel’s history, Bar’s book provides some interesting insights. If one is more interested in getting at the message of how Saul is portrayed in 1 (&2) Samuel, then there are commentaries and other studies that would prove more beneficial. Many thanks to Cascade Books, a division of Wipf and Stock, for providing a review copy in exchange for an unbiased review.